One of the core fundamentals to a stock golf swing is getting the club to brush the ground in the right place. 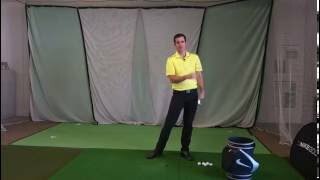 This helps with margin of error, consistency of contact, and ability to repeat your swing. Often, it is easy to get too focused on the proper movements, and sometimes going back to the basics of "what do I want the club to do?" can help get your game back on track.